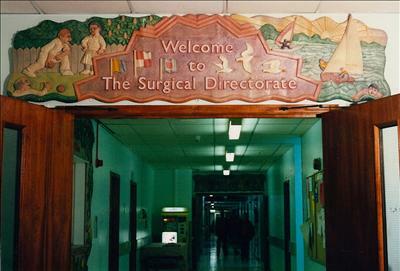 Signage for the Entrance to the Surgical Directorate, 'E' Level, Southampton General Hospital. Carved relief with raised lettering on sycamore. Painted with watercolour and sealed.